Venlafaxine (anti-depressant) 2 x 75 mg in the morning 1 x 75 mg in the evening. I have been on two diving holidays (Turks & Caicos/ Bahamas and Little Cayman) while taking this medication and have had no problems at all. I qualified as a BSAC Sports Diver in 1982 and have completed over 200 dives. You are going to wish you never asked me that I'm afraid. The venlafaxine is debateable depending on how your condition is controlled and any side effects you have. The bigger problem though is the carbamezepine. This is normally used in epileptics as an inhibitor of fits. It is known to cause narcosis at very shallow depths and consequently anyone taking it is barred from diving. This may annoy you as have dived many times on this medication and probably had absolutely no problems. But rules are rules. On top of this if you ever did have a problem and needed your insurance to cover it, they would be loathe to pay up if you dived on this medication. So I suggest you go back to whoever put you on this med and see if there's an alternative. Then go and see a diving doctor to discuss the issues of the antidepressive you are taking. I am 31 years old and a PADI Open Water Advance diver. Presently, I am on medication prescribed my doctor. The medication is an antidepressant called FLUOXETINE and I am on 30mg/day. This was prescribed in Sep 2000 for grief/depression following the loss of my mother and I am also going to counselling. The last time I dived was May 2000 and I need advise on whether I can dive again while taking this medication. Would a diving medical be required? I find the whole issue of diving on antidepressives very interesting. There are some doctors who feel anyone on these sort of tablets should be barred from diving, whilst others have a far more realistic attitude as we know there are thousands of divers doing millions of dives over the years without a single hitch whilst taking everything from Prozac to Cipramil. Here's what I think, but this is a personal opinion. I think you will be fine. The key to diving if you are on this medication is that you should have been on it a while so there are no surprises as to the side effects of the tablets. I would say that a period of 3 to 4 months on the Prozac would be enough for you to have got used to being on it. By that time you should have found out which of the many side effects you have from it, don't get me wrong though as it's a very good treatment for some forms of depression but it can make you very anxious in the early stages of taking it. But as you have been on it for well over a year and by dint of that you must be pretty well side effect free I think that you may well be OK to dive. The other consideration is that how well is it controlling your problem. If yours is a grief reaction then that will probably not manifest itself underwater in any way, but others on antidepressives have problems that may cause difficulties underwater. Examples are anxious depression that manifests as panic attacks, morbid depression where the sufferer is seriously suicidal, and the worst of all, psychotic depression where the plot has completely been lost and the poor depressive has tipped over into a pseudo schizoid state that should be treated by being an inpatient at The Priory rather than considering Ras Mohammed. The thing is that you really need to be assessed by someone who has a good understanding of psychology and diving to see if you are fit enough to dive and unlikely to not suffer a fear or anxiety that will endanger you or your buddy. These doctors are as rare as hen's teeth as the doc has to have a good experience of depression as well as diving medicine, but I have a list of appropriate people. The intriguing point here as well is that there are many depressives who only feel well and free of their problem when they are one on one with a nudibranch on a clear blue day at depth. And as someone who has seen plenty of these divers I can only see the benefits of diving for their wellbeing. Whatever the outcome you will need to see a diving doc as you have ticked the "yes" box on the fit to dive form and getting the certification is now your requirement, but choose the right sort of understanding practitioner, and a hunch says you will be just fine. diving for the last two days in the Red Sea under my Open Water license. Today I commenced the first half of my Advanced OpenWater course and at the end of a day, filled in the medical questionnaire. This included a questionas to whether I take prescription medicine to which I answered yes. I am currently on a low dose (20mg/day) of Seroxat and have been for the last 2.5 years. My doctor can confirm this and also did not foresee in the past or before this holiday, a problem combining the two. (For information, this medicine was prescribed as a gentle reliever of the mild lows and pre-menstrual tensions - as opposed to anything more serious or profound). However, the dive centre consulted with a dive doctor here who has prevented me from further diving whilst on this medicine, unless I am able to obtain clearance from a general practitioner with relevant dive qualifications. And this is where I was kindly referred to the London Diving Chamber. I'd be most grateful if you were able to inform me whether or not I am indeed able to dive on the above dose of the prescriptive drug and if so, is there any chance I might be able to be back on the dive boat tomorrow? My doctor is happy for you to contact him. Interesting this. The dive doc where you are should be able to see you and let you know either way, rather than asking you to find a GP with dive experience. They should have enough themselves to make that call. What is in your favour is that the seroxat is for seemingly mild, menstrual related depression. Mind you its one hell of a drug for that, one with some bad press recently, but horses for courses and it works for you then fine I guess. So your depression is not of the morbid suicidal variety, where you could be a danger to yourself and others diving. But these drugs do have side effects that could cause problems underwater, so you do actually need to see someone for a complete check up as well as an ECG. So I can't really email back a yay or nay, you either need to see the doc there, or snorkel away and get passed as fit on your return to the UK, so you can dive on the next trip. Finally, I think as GPs aren't up to speed on all diving issues, it is worth all divers being proactive themselves. Have a look at the PADI form on their website. If you do answer yes to any medical question, then make sure you get a dive doc's fit to dive cert before going all that way to find you can't dive as you haven't got the right paperwork. I have a mild form of Seasonal Affective Disorder accompanied by rapid mood swings (no mania ever diagnosed). The severity is best described as interfering with social life during the months of November through March. There is no significant impact on work. No suicidal tendencies. 1. Quit using lithium (my mood swing have significantly reduced since 1995 so this is an option). 2. Switch to using Carbamazepine (a non option having read the advice on your site). Or 4. keep on using lithium with a stringent blood check protocol. What is your insight on the given problems? I think it’s going to be tough for you to become an OWSI on this medication. In the UK you need to pass the HSE medical to be allowed to train and actually then instruct. If you are on lithium, you won’t get past first base. Firstly, as there is a lack of evidence of how it may affect you at depth, then it is not safe to have students under your care. 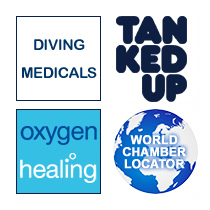 Secondly, there are strict rules about your underlying condition and diving. Lithium is usually used for bipolar disorder, not something that is condusive to sharp quick decision making in stressful environments. Your other options of the other 2 drugs is a no no, as they are both anti-epileptics, and so bar you from diving. However, I’ve got to say this. Having rapid mood swings that only affects social functioning in winter, sounds like half the population. I wonder if your condition is as bad as you think it is. And whether lithium is a hammer for a walnutcase. So we are back to option 1. Come off the meds, get cleared by a psych as back to normal. And come back to us again for reassessment. Been diving for 3 years, AOWD, around 60 dives. Basically after a bad year at work, off-shoring, redundancies, pressure at work, I've been signed off work since 5th Dec, some 5 weeks ago. From elsewhere on you site probably was in the 'morbid depression' as a classification. Was referred to and am seeing a Dr in local hospital mental health unit weekly. Perhaps mid life crises, work-career etc. Currently feeling better than I was, generally less depressed, other wise in good physical health. Due to go diving mid March, how will I fair for diving medical regarding the prescription and 'depression', (I may hopefully be off the prescription before March)? I know how you feel mate, bad years and all. But well done for getting through the worst of it, so some good-ish news for you. I assume you are on the newer SSRI style anti-depressives. These are OK for diving but only after an assessment by a dive doctor. One of the things they will look for is how bad your depression is. Morbid depression and weekly visits to the doctor is very significant. You could be a risk to yourself and buddy if things went pear shaped at depth. So you need the problem to lighten a bit, which is often due to the removal of the causative factors. Bad boss/relationship/pay etc. If these are resolved, the depression kind of normal and no side effects from the meds, then you could well be fine to dive. Oh happy days. C’mon sing. Remember that scene in Con Air. I have been diving for around five years. I took Cipramil for depression for two years and continued to dive regularly during that time - I never experienced any problems with this whilst diving. I first took 20mg per day then 10mg and I finished taking it around 9 months ago. I think it's probably true to say that the benefit I get from diving feels as though it does me every bit as much good as taking Cipramil did. In fact, the thought of not being able to dive makes me feel really quite down. At the moment, I feel that the depression is returning (although I've never had panic attacks and I've never felt suicidal). I think I'd probably benefit from the support of taking medication again for a while, but I do feel a bit reluctant to start up the drugs again. I've heard good reports from a friend of how much better he felt after taking St John's Wort, so, after reading about it as well, I have been considering trying it myself. I'm in good health generally and I'm not taking any other medication of any sort. Would it be OK to take St John's Wort and carry on diving? Sorry to hear you are on a bit of a low, but here’s some good news. The newer SSRI type antidepressives are a whole lot safer than the old ones. So it is accepted, that as long as your condition is stable – no one wants a suicidal buddy after all- and there are no odd side effects then most divers will be OK on cipramil. You will need a dive doctor to sign you off for this though, not your local GP. As for St Johns wort, this is a fairly active compound, more in line with the old style meds, so I would think it better that if you wanted to dive, to go back to the cipramil, as at least this drug had been researched far better and we know its full side effect profile. Or how about nature’s own prozac…..dolphins. From what I have heard, a quick dip with Flipper and Mr Gipper [his stunt double, yes really] and your serotonin will be leaking out of your ears. I have been prescribed a course of 28 tablets of the Selective Serotonin Reuptake Inhibitor (SSRI) citalopram to relieve work related stress. I mentioned to the doctor that I was a diver and he said that they would not have any side effects and I was to continue diving as it helps me relax. I have been told I am fit and healthy but I wanted to make sure there are no side effects to this medication. I have been taking the tablets for a week now and feel fine. Could you please give me some advice as I am due to go on a diving holiday next month. This has been something of a tongue-wagging hot topic recently. SSRI’s are drugs often prescribed for depression, but they are used in a number of other conditions. A diver in Egypt who was taking the SSRI citalopram suffered symptoms of “serotonin storm” – a syndrome of confusion, agitation, sweating, palpitations and hallucinations. This understandably prompted a flurry of visits and calls to LDC. The theory in this case was that the combination of depth and the drug led to the event. There is some evidence in animals that hyperbaric exposure renders the brain more susceptible to the effects of SSRI drugs such as citalopram, so this might be a plausible mechanism, but to my knowledge this is an isolated case. Usually this type of presentation is only seen in SSRI overdose, if the drug is combined with another psychotropic medication, or interestingly with specific dry wind conditions, such as the Mistral or Scirocco in Europe. The usual individualised approach is therefore important: why is the diver taking an SSRI, ie. is the condition an issue? SSRI drugs are used for 2 purposes: treatment and maintenance. During treatment diving is unwise, but in the maintenance phase, where a low level of medication keeps a person well, diving is permissible. In general, SSRI’s are much safer than the older tricyclic antidepressants, which were sedative and could trigger off funny heart rhythms and seizures. Nevertheless, the diver should have been on a stable dose of an SSRI for at least 3 months before diving, to allow the body to become used to side effects. Because neurotransmitter levels take time to respond to medication, any change in dose can produce unpredictable effects up to 6 weeks later. So people are most vulnerable when starting, stopping or changing SSRI dose. Increased effects of narcosis at depth will also produce a bit of a pot-pourri of influences on the brain, so I tend to advise shallow conservative profiles whilst on these meds. As a latecomer to diving I've become pretty obsessed with the sport. Having mastered air diving I feel restricted by the 40m depth limit, and would like to take up technical diving so I can get to 40m+, use Trimix, and try wreck and cave diving. But I'm concerned that my medications will hinder my progress. Currently I'm taking Bupropion, which I read can increase seizure risk. I'm also taking Epilim and have just started Olanzapine. Do you think it's safe for me to pursue my ambitions whilst taking these? Please say yes! Er, this is going to disappoint you, but the answer is most likely no. We need a little more information here on why you are taking what you’re taking. Bupropion (aka Zyban) is most widely known as a smoking cessation pill, but was actually developed as an antidepressant. It does potentially increase seizure risk, but actually no more than many other antidepressants. The other two drugs you’re on lead me to believe you have bipolar disorder, a condition where moods cycle between manic highs and depressive lows (hence its previous label “manic depression”). This puts us in a quandary. Drug companies aren’t really interested in what happens to drugs under pressure, so there is usually precious little evidence of their safety in divers. We do know from animal studies that the blood brain barrier becomes more permeable to drugs with depth, so it’s not a big leap to imagine this might occur in humans too. This mix of medications in unpredictable doses, nitrogen narcosis and the inevitable heightened anxiety of a new diving environment could easily tip a previously stable brain into all sorts of bizarre activity. In my view the risk of a potentially fatal accident is too high here. My doctor has recently put me on some treatment for depression. It's something I've suffered with over the years and normally I can get through it without needing medication. This time round it's been accompanied by (or perhaps resulted from) stress at work and financial concerns so I've caved into pressure from my GP and started taking Venlafaxine. Does this mean I can't dive? The “black dog” of melancholia is part of the human condition, so much so that depression could be considered as a normal facet of being alive. It is certainly a very common issue that often goes unrecognised. Severity varies enormously, from a general vague feeling of the “blues” to a life-threatening illness. And so each case needs careful individualised assessment from a dive doc. We should remember that diving has plenty of positive benefits on the mind and represents a lifeline for many people, so solid reasons need to be provided for cutting it. However it can also be a very effective method of suicide. Where medications are required to treat depression, we also have to consider side effects and the consequences of pressure on the effective drug dose delivered to the brain. My rules of thumb: only one antidepressant, which should have been taken for a good few months to allow the brain to get used to it, no worrying side effects, and no significant mood swings. I always suggest fairly conservative diving (a maximum depth of 30m), and the diver’s buddy should be fully aware of the condition too. There seems to be a big variation in opinion on whether it's safe to scuba dive whilst taking antidepressant medication. I have a friend who is (I know, everyone says that, but it is honestly a friend and not me! ), but she is actually taking it for obsessive compulsive disorder (OCD), not depression. The drug she is on is fluoxetine (Prozac) and she has no side effects from it. She's been my diving buddy for several years now (and taking the Prozac all that time), and we know each other's diving habits back to front. I feel totally safe with her so have no doubts myself, but everyone I've asked so far has given me a different opinion on whether it's safe to dive on Prozac. Can you settle the question once and for all? Like beer and ice cream or sleeping tablets and laxatives, antidepressants and diving don’t tend to mix brilliantly. Again though, the devil is in the detail. It’s clear a thoroughly depressed, potentially suicidal diver on Prozac shouldn’t be getting wet, but in this case the condition we’re considering doesn’t tend to affect mood to that degree. In fact one could argue all divers would benefit from a touch of OCD. I know I do. So applying our principles above, she has no side effects, and has a buddy that knows her well and has dived with her for years whilst on medication. The SSRI’s (the class of drug to which Prozac belongs) are non-sedating and don’t impair exercise capacity. All well and good, but there is a small chance that blood thinning induced by SSRI’s could exacerbate any bleeding, should it occur. My feeling is that if she is on a low, maintenance dose and is otherwise entirely well, diving would be permissible here. But I’d always advise a proper medical in person to be sure.